After the launch of Jio many companies like Airtel, Aircel have already reduced their data plans and in future you can expect even more drops in their tariffs. Following this trend, BSNL has announced new BB249 broadband plan which is said to be the most affordable internet plan in India. Here are the tentative plan details. 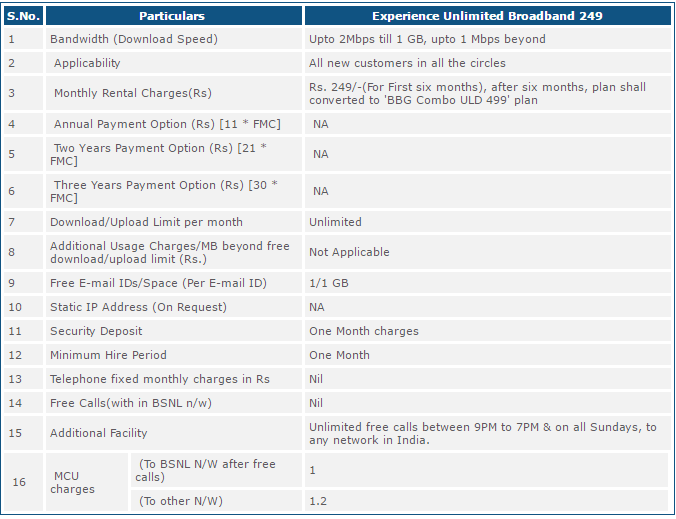 How to activate Bsnl BB 249 Rs Unlimited Broadband Plan? What is BBG Combo ULD 499 Plan? In short, you will get 300 GB data per month by spending just 249 Rs. This means, it costs you less than 1Rs per 1 GB data! But it’s being said that, offer will be valid only for first 6 months & after that plan will be converted to BBG Combo ULD 499. But still, it’s definitely a loot deal, isn’t it? 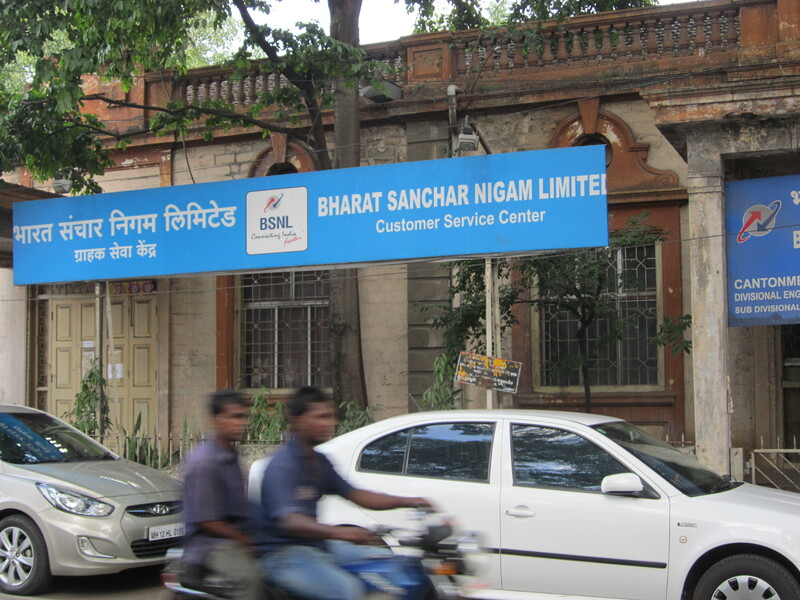 If you are calling to BSNL, then charge of Rs 1/minute will apply. For any other network, charges are Rs 1.20/minute. At the end of month, you will have pay 249 Rs + service tax which makes total of approx 290 Rs. Click here to visit official launch page. For now, you can contact BSNL customer care 1800-345-1500 for further enquiries. As you know, BB 249 pack is valid for just 6 months & after that it will be switched to 499 Rs monthly plan. You can either register online or directly order new connection by ‘cash on delivery’ method. For online registration, use this link & select your state/region. Else, you can send sms BB to 54141 (if you are sending from bsnl number) or 9400054141 if you are using any other network. You will get further instructions & bsnl team will reach your home for installation & document verification. Is BB 249 plan available in my area? : Yes! It’s applicable in all Indian circles. Are there any additional benefits besides unlimited data? : You get free calls between 9 PM to 7 AM including Sundays. 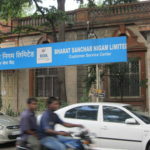 Are free calls available only for BSNL to BSNL? : No, you can make calls to any other networks like idea, airtel, jio using this plan. Is it compulsory to try this service for 6 months? : Definitely not. You can use it for minimum period of 1 month. What are the installation charges? : If you are buying this plan during promotional period, then you will not be charged anything extra for installation. BB 249 me landline use nahi kiya to actual charges kitne honge. You are right..it’s only for landline users. U mean. .I can’t use as I use internet in regular sim? No,you can’t. But at home, you can use router & connect your phone to it over wifi to enjoy internet. i cant apply for new connection..there is no option showing Delhi..Wat should i do??? Plan will be live after 9th September. So…to take advantage of this offer…do I need to buy a new sim after 9 September??? ?…I just want it for mobile internet usage…explain plzz what’s the procedure?? It’s a broadband offer. You can use router to use broadband internet on your mobile devices. After 9th September, we will reveal complete procedure here.